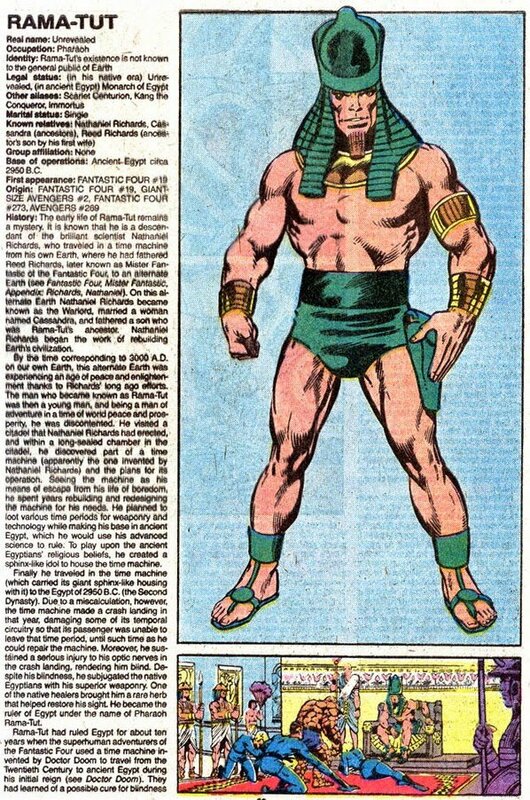 Kang, Scarlet Centurion, Immortus, Iron Lad, Victor Timely and Mister Gryphon all started as Rama-Tut (aka time traveler Nathaniel Richards from the 30th century)! 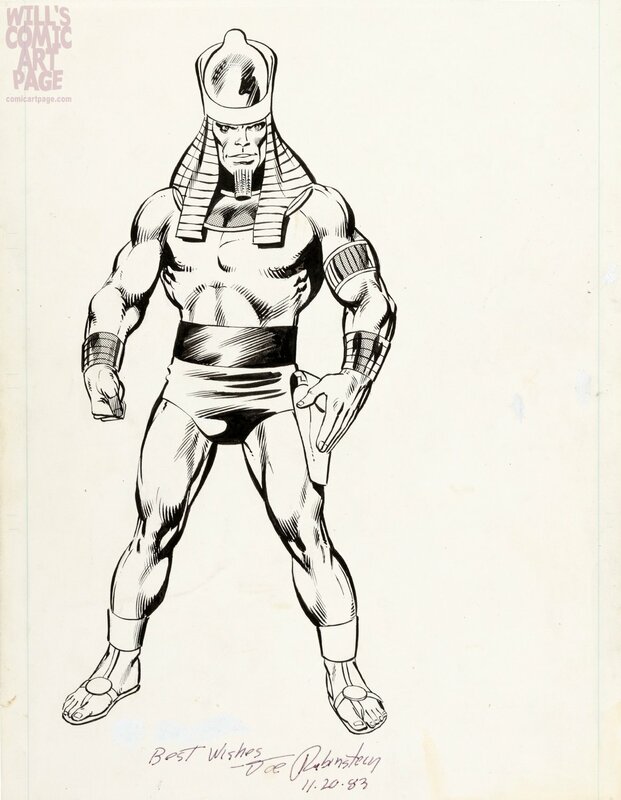 From Marvel's first encyclopedic Official Handbook series, the figure stands a whopping 12.5" and is signed by Joe Rubinstein on standard size Bristol board. Click on the add'l link to view the pin-up as published in the Official Handbook of the Marvel Universe Volume 9.